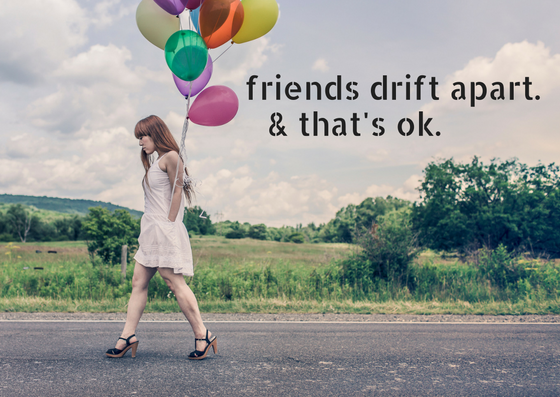 When I wasn't in high school, I used to hear the saying that some friends naturally drift apart. At the time, I was in disbelief. I thought that I would always have my group of friends forever. But as I grew older, it became more evident that that wouldn't be the case. Younger me would be horrified. I probably would have said something along the lines of, "How can you be okay with the fact that your friends won't be as close to you as they were before?" The me today would have responded with, "Because I have found the true friends that will always stick by my side. People change, and that is okay. Everyone will find their true friends and it takes a process of trial and error to do so. It is much better to have a few friends that you can always trust and feel natural and comfortable around rather than a lot of friends that make you feel hesitant about saying things or that don't really know you as well." It is also not to say that when friends drift apart, they never talk again. Maybe in the future, I will reconnect with friends that might have drifted apart in the past and catch up. We may not be the best of friends, but I know that I will still have them in my life.